Legendary author R.L. 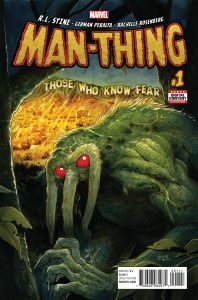 Stine brings his unique brand of horror to Marvel Comics as he makes his mark on one of the most monstrous creatures in the Marvel mythos! 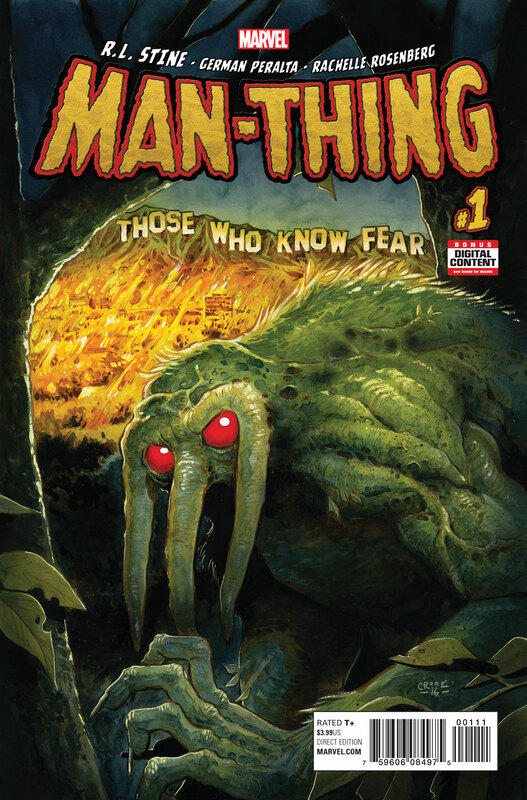 That’s right True Believer, the beloved Goosebumps & Fear Street scribe will pen the highly anticipated MAN-THING #1 – in stores on March 8th featuring art from German Peralta (Moon Knight, Agents of S.H.I.E.L.D.) and a bevy of comics rising stars! 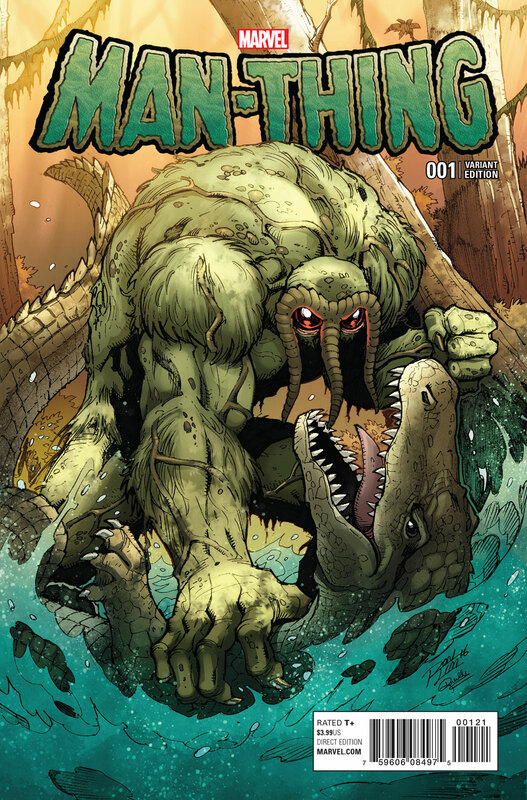 Plus, it’s terror on the high seas as R.L. 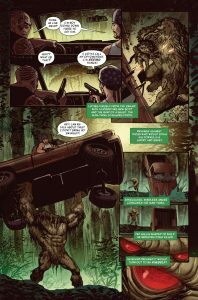 Stine and artist Daniel Warren Johnson bring you a special second tale that’s sure to leave you seasick! 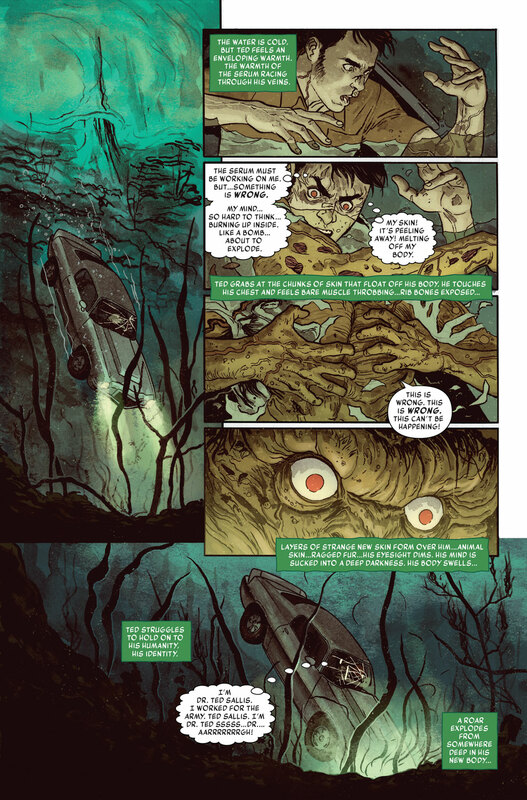 Prepare your senses for a spine-tingling journey that will take you, dear reader, from the glitz and glamour of Hollywood to the muck and grime of the deepest swamps. 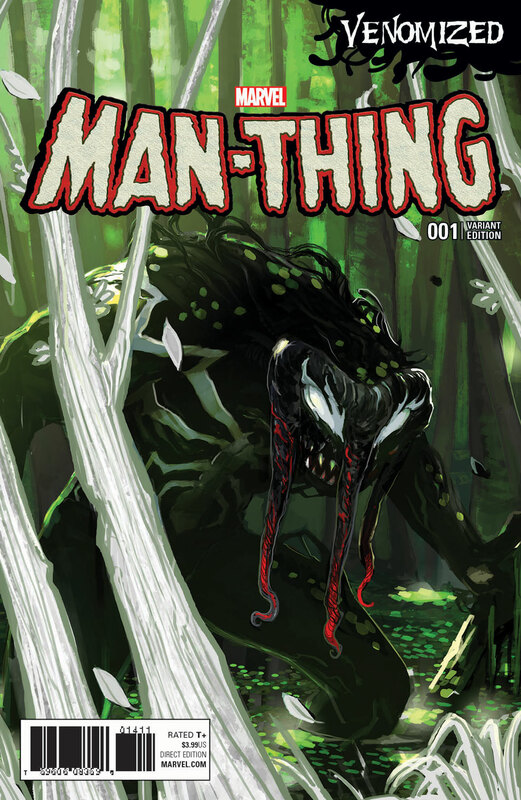 Run, don’t walk, to your local comic shop on March 8th for the can’t-miss MAN-THING #1! 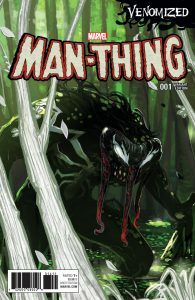 MAN-THING #1 (of 5): Written by R.L. STINE, Art by GERMAN PERALTA & DANIEL WARREN JOHNSON. 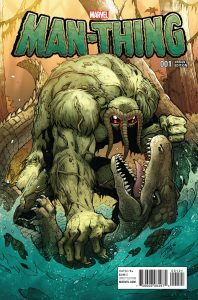 Cover by TYLER CROOK. 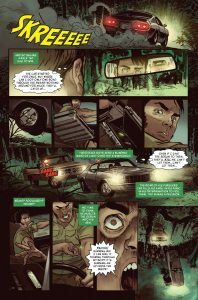 Variant Covers by BILLY MARTIN and FRANCESCO FRANCAVILLA . 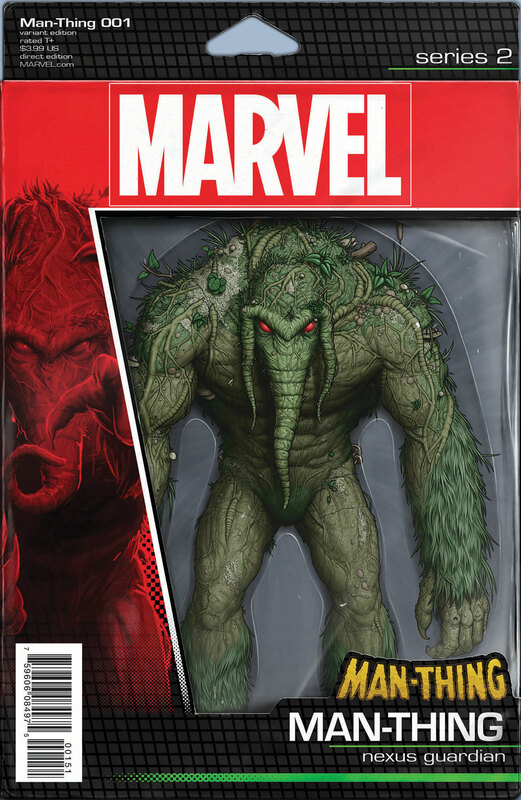 Action Figure Variant by JOHN TYLER CHRISTOPHER. 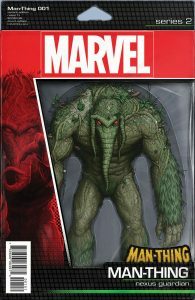 Man-Thing and the Marvel Universe Variant by RON LIM. 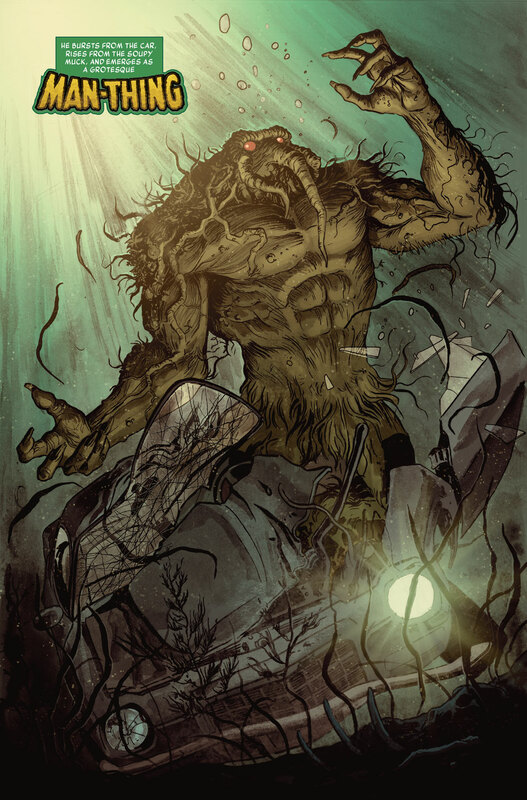 Venomized Variant by STEPHANIE HANS.